Blues dancing is not as well-known to some people as some other forms of dancing. We love blues dancing, and one part of our mission is to help spread awareness, appreciation, and enjoyment of blues dances to more people. Blues dances are a family of African-American vernacular dances that were danced to blues music starting over 100 years ago. The dances expressed what the music expressed — pain, struggle, catharsis, comfort, and the interpersonal connections woven throughout. improvised expression of the music (rather than predefined steps and formal sequences). It is often less aerobically intense than swing dancing, and less formal than most ballroom dancing. Although this dance is lesser-known to some, we value the chance to show respect to our fellow humans who came before us, to their music, to their life experiences, to their art, by learning, practicing, and enjoying the dances they danced. 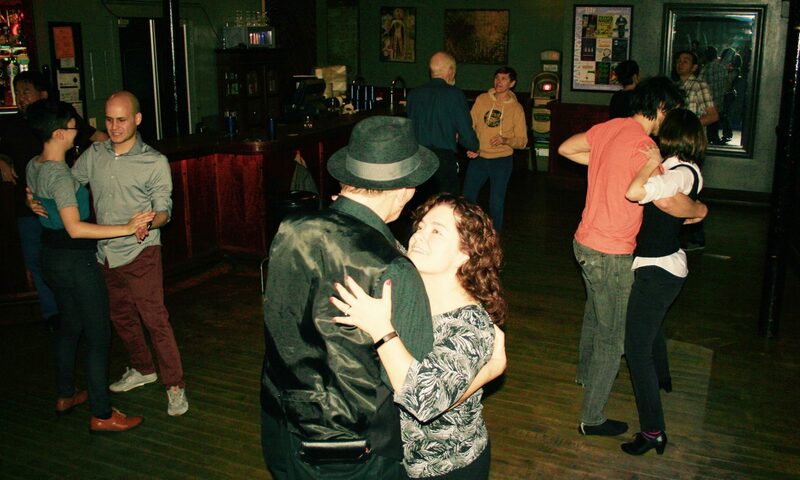 Perhaps the best way to find out what blues dancing is like is to come to one of our weekly lesson and dance gatherings and experience it for yourself with our friendly community of dancers.